A first stakeholder meeting was organized in Paris, on 14 November 2018, and involving both inventory compilers and scientists, with the aim to work on the common understanding of emission inventory reporting concepts, definitions, uncertainties, data gaps and ways to deal with those difficulties. This meeting engaged about 40 experts. 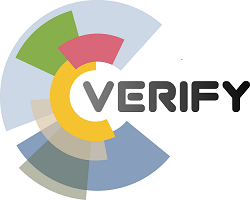 It is the first of a series of three meetings in total that will be organized over the course of the VERIFY project. Please find below the agenda. The associated public deliverable can be found here.